INDIANAPOLIS -- A 4-year-old girl was hospitalized Thursday morning after a shooting near Fountain Square. 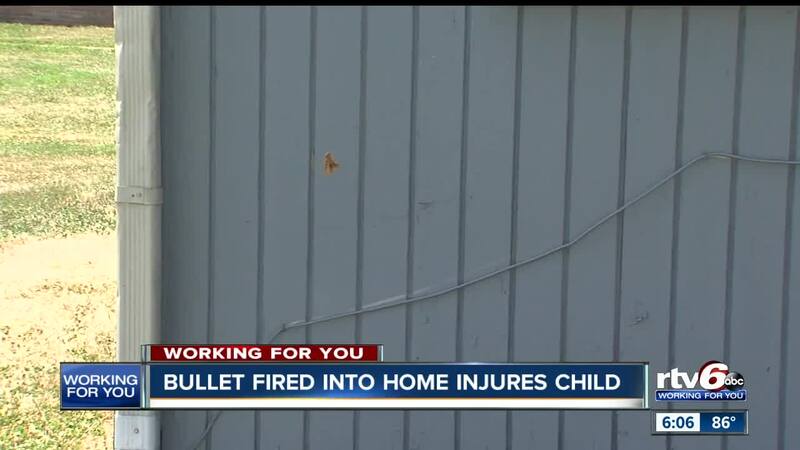 An Indianapolis Metropolitan Police Department officer said the child was sitting on a couch watching television just before 3 a.m. when she was hit by a bullet that came through the wall of a home on Renton Street, near the intersection of Rural and Minnesota streets. Police had been called to the area on a report of gunshots, but callers to 911 were not specific about where the shots came from. 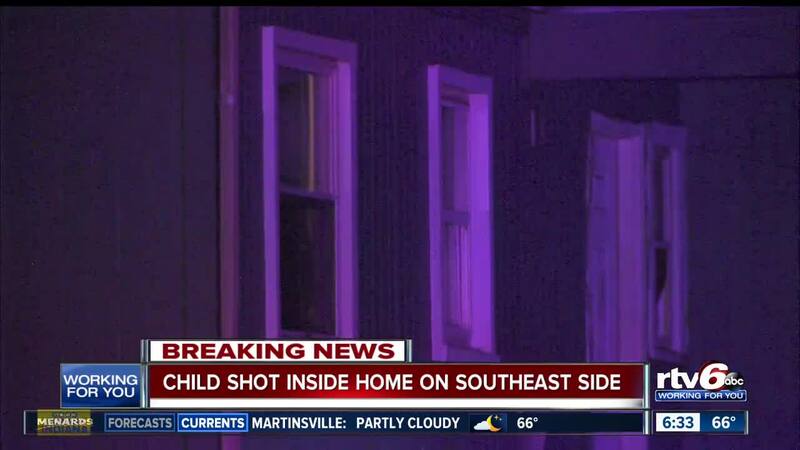 The 4-year-old was hit in the foot by the gunshot. She was taken to a hospital in good condition. Police found shell casings from a rifle in the street outside the house and say several rounds had been fired. Investigators have not said whether this was a targeted shooting, but officers say they do not believe there is a threat to anyone else in the area.